Let’s get this out of the way first: if you’re reading this review expecting us to just lambaste Star Wars Battlefront II due to the microtransactions controversy, then you’ll sadly be disappointed. While we do touch on that a bit, the review focuses more on the actual gameplay and how it fares (a game reviewer focusing on the actual gameplay — shocker!). Having said that, we did give the game a fair shake trying out all the game modes available, testing the progression extensively by playing the multiplayer for hours. If you want to read how Star Wars Battlefront II is a game (and not as an “online casino”), then dive in, Padawan! As one can expect given MP1st is a multiplayer-focused site, the majority of the review will focus on the multiplayer modes, though we account the single-player portion as part of the overall score. 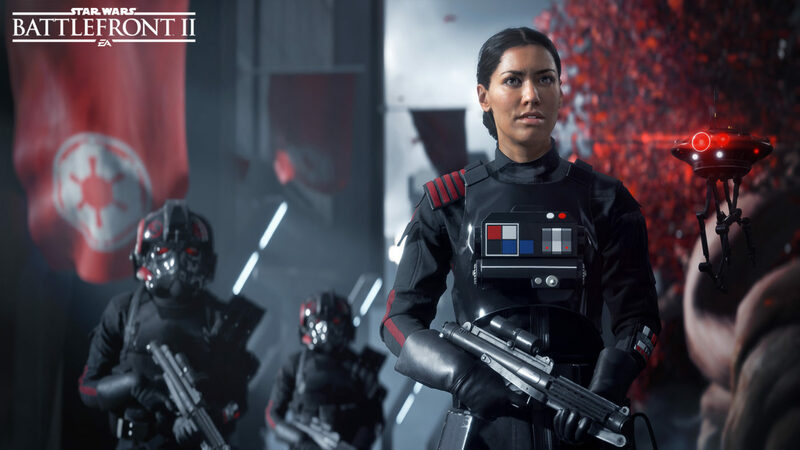 In Star Wars Battlefront II, you star as Iden Versio, an officer in the First Order. It’s a big departure from the usual Star Wars games where you often played as the Resistance (good guys), or as a Jedi. It’s a big gamble on DICE’s end, and one that pays off. Hearing the story from “the other side” gives the First Order soldiers a more human side and explains why they do the things that they do. There are a few twists and turns in the 12 chapters Battlefont II’s story encompasses, but for the most part, it’s fairly predictable. What’s less predictable is the actual gameplay scenarios. Sure, there are the usual “go to a spot, clear all enemies before proceeding to the next level” sort of thing. Breaking the monotony of shooting are stealth scenarios, space battles, and even instances where you control Iden’s droid ID10. The campaign lasts roughly 4-6 hours depending on if you spend time looking for collectibles, or just speeding through. While it’s a solid offering from DICE, the main draw of Battlefront II is, of course, the multiplayer. Let’s get it out of the way: Star Wars Battlefront II originally had a microtransaction-riddled progression system that was pulled at the final hour due to pressure from fans, and reportedly from Star Wars IP owner, Disney. At the time of this review’s publication, Battlefront II has no microtransactions to speak of. No cosmetics, no gated Star Cards, no nothing. Of course, given that EA has been public about reinstating microtransactions back in, we don’t know for sure how that will work. For the sake of clarity and transparency, this review is being judged solely on the version we’re playing now, which has no microtransaction elements tied into progression. Now that we’ve gotten that out of the way, the core gameplay of Battlefront II feels relatively the same as DICE’s 2015 Battlefront. I say “relatively” since there are a few major and minor differences that make Battlefront II one of the most puzzling multiplayer games I’ve ever reviewed. In case you haven’t been paying attention to Battlefront II’s multiplayer, the game employs Star Cards as its form of progression and abilities for all aspects of multiplayer. There are Star Cards for all four classes, all the Heroes, ships and more. For better or for worse, Star Cards are an integral part of multiplayer, and that’s where some of the main issues lie. In Battlefront II, you earn loot crates that house these Star Cards. You earn ’em by completing challenges, buying them for credits you earn in-game and so on. Speaking of which, the credits earn rate are a problem in of itself as well, given how random its given out at the end of every match. It’s gotten to the point that people even use homemade bots just to farm credits while going AFK. Unfortunately, there’s no way to guarantee that the Star Cards you earn in loot crates won’t turn into duplicates. You do get credits and Scraps in crates that you can use to buy more loot crates, or craft gun attachments or Star Cards directly, so there is that little workaround. But for the most part, the Star Cards progression system is a deviation from the standard multiplayer progression shooter fans are used to. Personally, I’m not a fan of the RNG-based progression system the Star Cards offer. It’s too random, and just randomizes progression. Its entire premise does seem like it was tailor made for microtransactions, which is not ideal for a balanced multiplayer game. Another odd bit of gameplay decision comes in the form of time to kill (TTK). In Battlefont II, it seems the TTK is a tad too slow, making engagements last longer than they should. Not sure why this was changed since 2015’s Battlefront had it down pat. Speaking of 2015’s Battlefront, one of the major complaints to that game was the lack of progression and unlocks — a fact DICE took to heart and made sure won’t be an issue in BFII. While I commend the studio for putting in a lot more stuff for players to unlock, it comes so at the expense of gating items and equipment, for the sake of gating them. Want a different gun from the base gun you’re using? Yeah, go kill X number of enemies first. Want an attachment for your gun? Yep, do X task first. It’s tedious enough that you have to do this with every class’ gun, but you need to do it for every gun to unlock every attachment as well, which is just grindingly annoying. That’s not even the worst part. Star Cards slots are also gated too. Sure, one can argue that reaching level 5 for a class won’t take long to open Star Card slot #2, but the fact that it’s even needed, just feels like artificial padding, and gives veteran players more advantages against the newcomers. As if learning the map, weapons, proper use of Star Cards and shooting mechanics weren’t enough advantages. Note to devs: players don’t appreciate being given crappy weapons, equipment or gimping their capabilities just because of time played, or level number. Veteran players don’t need more advantages than the ones I mentioned above. While I’ve dished out a fair number of complaints with BFII, the core gameplay is still sound. Add in the allure of the Star Wars license, and well, BFII might be an easy purchase for some. 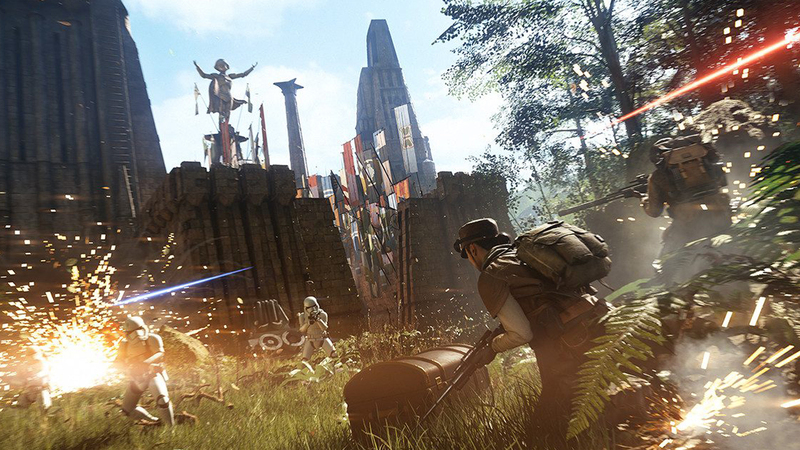 DICE has always been known to create balanced — and fun — games, and BFII is no different. Either playing as a standard infantry grunt, a Jedi, a Wookie or another class, the core gameplay feels tight. 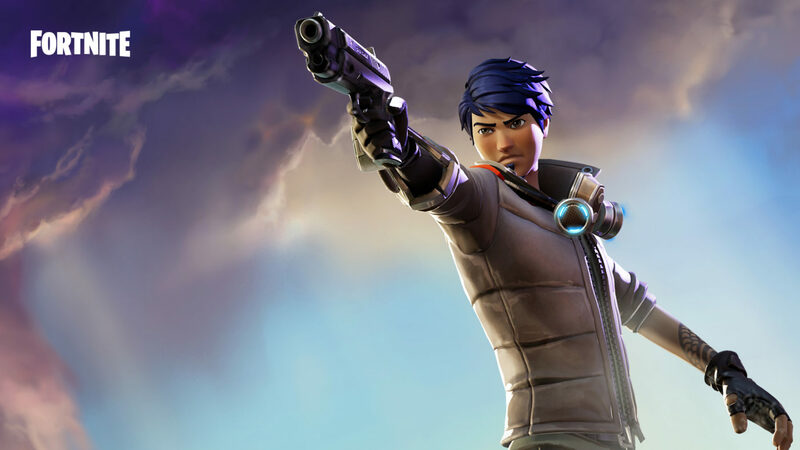 Action is fast, frenetic, and satisfying enough that you’ll want to keep on grinding Battlepoints to be able to play as a Hero and lay waste to your enemies. Adding to the appeal of the core gameplay are the audio-visual presentation. While some parts of BFII does look a bit inferior to the 2015 version (not sure if that’s just my eyes playing tricks on me), the game still looks drop-dead gorgeous. It’s even more impressive when you factor in 40 players fighting, an expansive stage to fight on, and other stuff happening (AT-ATs, etc.). In the audio department, DICE once again doesn’t disappoint. Lasers are fired off with that familiar sound, and the dialogue, music and sound effects match up with what’s happening on-screen to complement it. I’ve already written an entire preview on Starfighter Assault based on the beta — Battlefront II’s space battles mode. For the most part, it plays the same, which is a good thing since DICE has nailed down this mode more than any other. If you ever wanted to fly an X-Wing or Boba Fett’s Slave-1, and feel like a badass in doing so, Starfighter Assault is the mode for you. The only issue here is: a lot of players have managed to mine and collect Star Cards for their spacecrafts, and these affect the gameplay and match outcome greatly than in your standard infantry match (in my opinion). Missiles lock on faster, overdrive recharges quicker, etc., are just some of the Star Card abilities that available to players, which newcomers will surely when playing. Of course, an easy solution for this is to grind for loot crates, craft Star Cards yourself, but for the initial few matches, be prepared to be blown to bits by enemy spacecrafts. 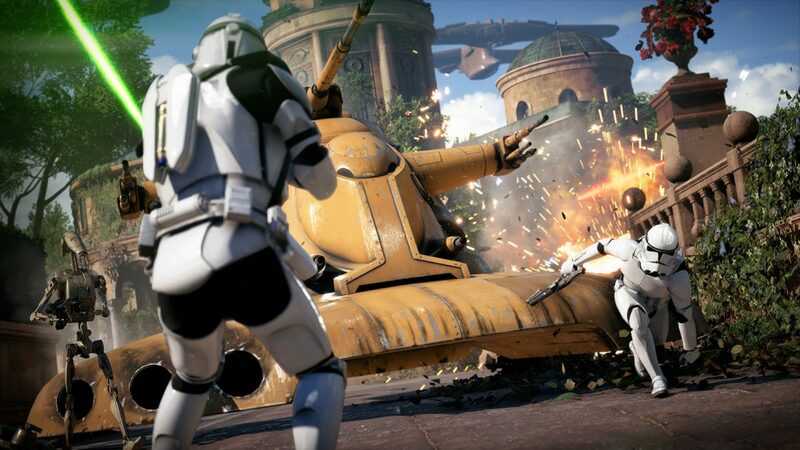 While Battlefront II has been mired in controversy for months now, there is a good game underneath all of the microtransactions and hate it managed to amass, no thanks to publisher EA. 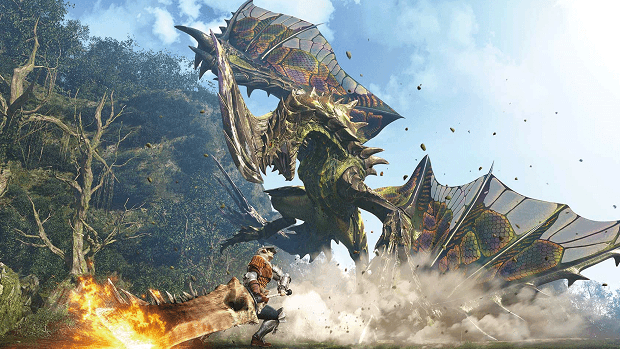 An above average single-player campaign, paired with an oftentimes satisfying multiplayer component is no easy feat. DICE manages to do that with Battlefront II. Add in Starfighter Assault, and a competent local co-op mode, and you have the complete package that every Star Wars fan will gobble up willingly. It’s just an annoying state of affairs that EA failed to see that when it wanted to shoehorn microtransactions into the game, and that effect is still felt with the Star Cards, and how Heroes can be bought in the game with in-game credits. For Star Wars fans, Battlefront II is a no-brainer purchase decision, and I don’t blame them. Now for those just looking for a shooter, then Star Wars Battlefront II can scratch that itch, but just be prepared by some minor annoyances along the way. And of course, the ever looming threat of microtransactions is always there that can skew the game balance severely if haphazardly implemented. Star Wars Battlefront II is an above average shooter, and the complete package when taken as a whole. Just be prepared for lots of game balancing, and tweaks to weed out the unbalanced progression system. If you can overlook those, then this is one battle you’ll want to be a part of. Star Wars Battlefront II review code provided by the publisher. Reviewed on PS4 Pro, played hours of multiplayer using all classes, and a few Heroes as well. You can read MP1st’s review and scoring policy right here.